Ginger the Giraffe is a member of Sweet Softies’ Twee Toys Collectible Series! 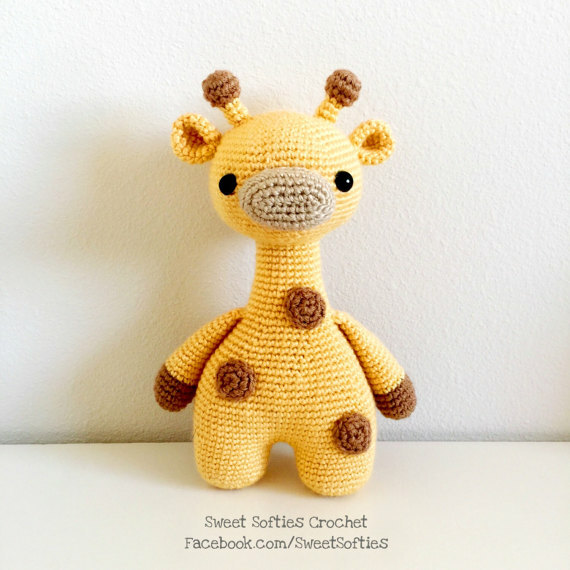 This pattern provides instructions for crocheting an adorable giraffe plush toy, or softie. This project is suitable for advanced beginners. Ginger makes for a lovely, handmade gift for baby showers, nurseries, children, and giraffe fans! For more Twee Toys, check out: Finley the Orange Fox, Farley the Slender Fox, Dawson the Deer, Remi the Rabbit, Brennan the Bear, and Fletcher the Fox.